Smash These Pro V1's In The Park! These balls are for smashing on the farm or in the park, or off a boat if you want to! 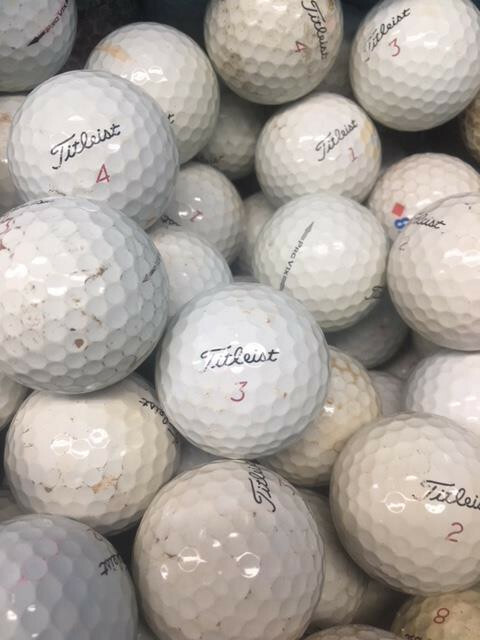 They are a mix of Titleist Pro V1 and Pro V1x, all the balls are very worn and scuffed, good for driving into the distance and watching them fly. 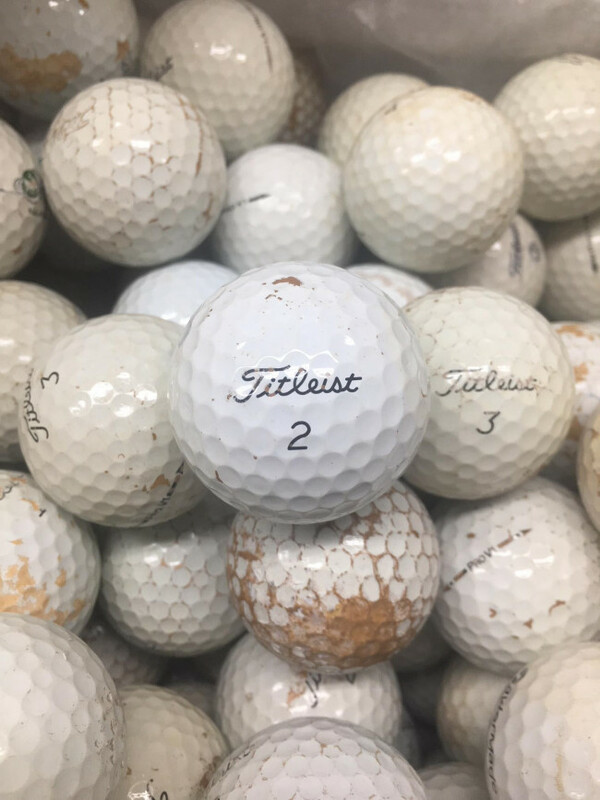 You may want to use these balls for chipping and putting, but we would generally say they are "shag bag" golf balls which are good for hitting away with mates. We charge $8.50 flat rate postage so you can combine these with other items and pay no extra shipping or purchase these alone. The golf balls are great and super cheap. It took a while longer to receive them, due to the courier (who wouldn't accept a PO Box) actually delivering to our local post office, who then didn't notify us the parcel was there because it had our street address and not our PO Box number on it! This... Read More. The golf balls are great and super cheap. It took a while longer to receive them, due to the courier (who wouldn't accept a PO Box) actually delivering to our local post office, who then didn't notify us the parcel was there because it had our street address and not our PO Box number on it! This wasn't LGB fault, but maybe a check with the couriers as to how they deliver would be good. Cheers! LGB with be the first place I look at when getting golf balls. The refinished balls are basically brand new and for the fraction of new price! Can't go wrong there! Very happy. Prompt delivery and quality exceeded my expectations. I'm sure it won't take me long to lose these 100 balls and then I'll be back for more. Delivered quickly and golf balls better then description. Fast service. Balls were in Mt Isa in 3 days which is a remarkable feat given freight and mail services anywhere west of the great divide. They were just as explained and even better. Thanks for the prompt service. The service was excellent from these guys, they are a professional outfit. I made the mistake of ordering on 2 separate occasions which incurred a separate delivery fee..that was my fault! I had accepted that this would be charged, however I received a call from one of the guys from Lost Golf Balls... Read More. The service was excellent from these guys, they are a professional outfit. I made the mistake of ordering on 2 separate occasions which incurred a separate delivery fee..that was my fault! I had accepted that this would be charged, however I received a call from one of the guys from Lost Golf Balls whom informed me that they would give me some extra balls to make up for the delivery charge. They didn't have to do this, not even prompted by anyone they did it automatically - awesome customer service!! Would highly recommend to anyone thinking about getting golf balls from them! Will be ordering from them again soon once I have smashed all my golf balls into the bush on my property! Delivery was fast and got them at a great price. Great value, easy ordering, quick delivery. Smash These Pro V1's In The Park! These balls are for smashing on the farm or in the park, or off a boat if you want to! 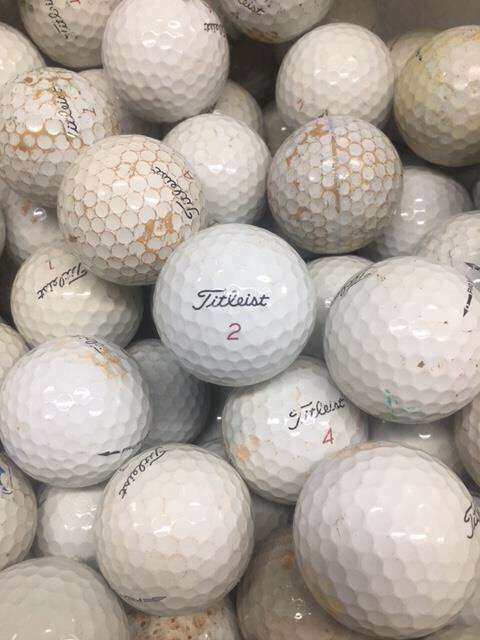 They are a mix of Titleist Pro V1 and Pro V1x, all the balls are very worn and scuffed, good for driving into the distance and watching them fly. 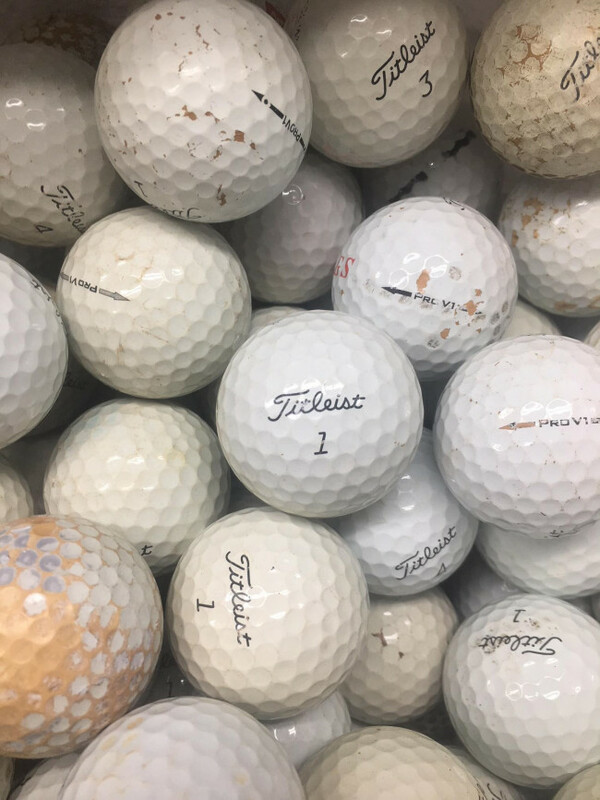 You may want to use these balls for chipping and putting, but we would generally say they are "shag bag" golf balls which are good for hitting away with mates. We charge $8.50 flat rate postage so you can combine these with other items and pay no extra shipping or purchase these alone.